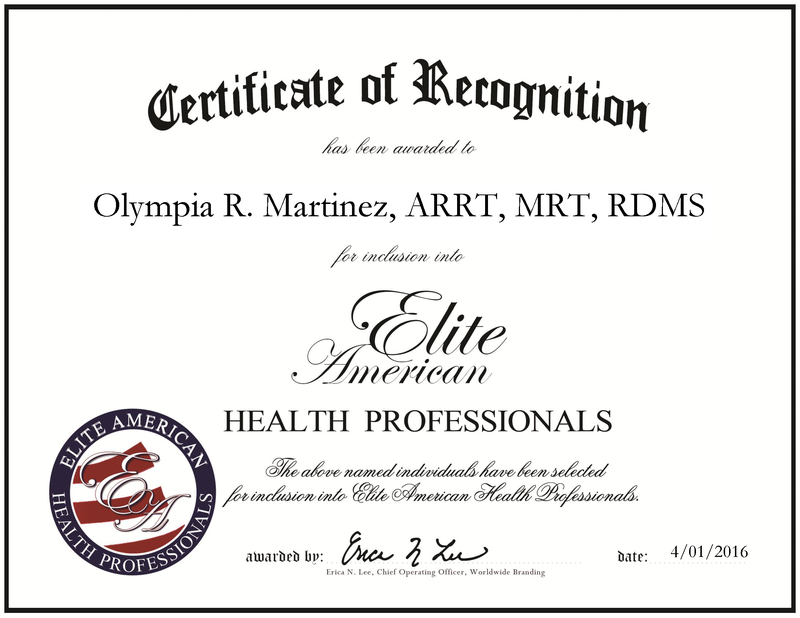 Houston, TX, April 1, 2016, Olympia R. Martinez, Maternal Fetal Medicine Sonographer for Obstetrix Medical Group PC, has been recognized by Elite American Health Professionals, for dedication, achievement and leadership in sonography. 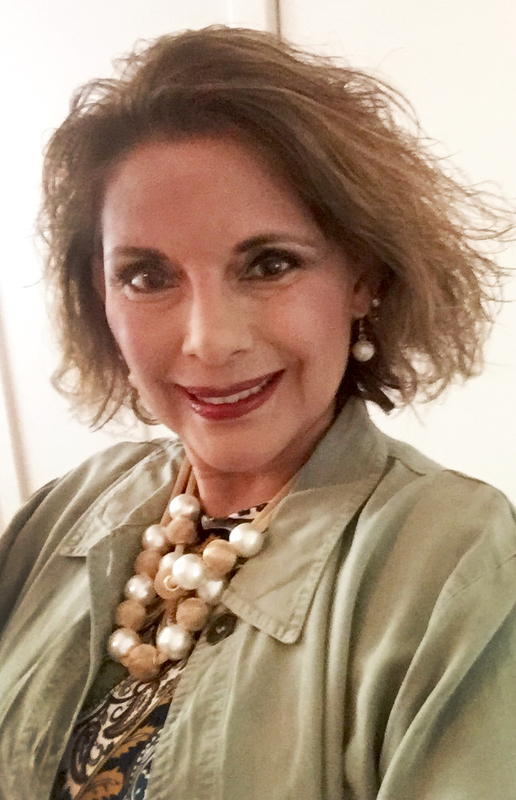 Ms. Martinez is distinguished for nearly 40 years in the medical field as a sonographer. For the past year she has augmented this experience to her latest position, as a maternal fetal medicine sonographer with Obstetrix Medical Group PC. In her position, she specializes in performing high-risk, maternal fetal ultrasounds and working with patients. She is an expert in ultra-screen technology, supervision and analysis of sonographic images, using 3D and 4D ultrasound imaging and fetal echocardiography. After earned an associate degree in radiologic technology from Texas Southmost College in 1978, Ms. Martinez entered the sonographic field. She received certifications as a diagnostic medical sonographer, radiologic technologist Six Sigma Green Belt and tricuspid flow. Additionally, she is a licensed medical radiologic technologist, imaging specialist and sonographer. She was prompted to go into this field due to her love of infants and their well-being. Prior to joining Obstetrix Medical Group PC, Ms. Martinez worked at the Woman’s Hospital of Texas. At that hospital, she conducted a study that recorded and evaluated the effectiveness of older GE equipment to newer GE ultrasound equipment. She has cited that one of the most gratifying aspects of her career was the opportunity to work with her mentor, Dr. Frank Hadlock. In the next step of her career, Ms. Martinez endeavors to use 3D and 4D imaging technology to help detect heart defects in unborn babies. She aims to host workshops to train staff. In the years to come, she hopes to continue providing quality care and become involved in the speaking arena, teaching others about her career and the changes it has undergone in previous years. This entry was posted in sonography and tagged echocardiography, infant, maternal, sonographer, sonography, ultrasounds. Bookmark the permalink.